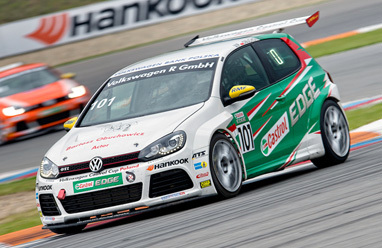 Volkswagen Golf Cup is a racing series aimed not only for pure rivalry, but also for finding and promoting young racing talents. All competitors are given the same, purpose-built Volkswagen Golfs, which enhances the level of competition and rivalry. It is drivers’ skills and talent that determine final results. Volkswagen Racing Polska and Volkswagen Group Polska are the organizers of the series. In 2014 season five countries; Poland, Czech Republic, Germany, Hungary and Slovakia hosted the races. The undertaking is aimed for at least three years. The 2014 season comprised 7 rounds during which 14 races were held. In the 2015 season drivers will visit tracks in Poland, Czech Republic, Germany and Slovakia, where six rounds are scheduled. During each of them two races will take place. Hungarian track Hungaroring was dropped from the calendar, as well as one round in Poznan. This season the venue in Poznan will host, not two, but one round. Instead, there are two new track in the calendar – German’s Sachsenring and Oschersleben wich will host the start of the season. This year, thanks to live streaming technology, almost all races will be broadcasted live via Internet. First day of the racing weekend is devoted to two 30-minute practice and qualifying session. There are two races on the other day. Each of them is separated by a few hour interval. The grid of the second race is determined by drivers’ second fastest times from qualifying session. There is a novelty in Polish racing environment concerning building and maintaining racing cars. Throughout the entire season all this is being done by Volkswagen Racing Polska that is responsible for building and delivering the equipment for racing venues. Volkswagen Golf’s specification was designed in cooperation with Volkswagen R GmbH and Volkswagen Motorsport. In 2013 the car was equipped with 2.0 TSI gasoline engine producing 260 bhp. Thanks to innovative Push-to-Pass system activated for a short period of time, the engine’s power is increased by extra 50 bhp. 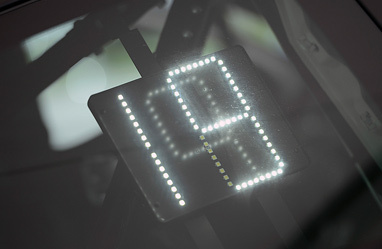 All cars bear professional telemetry system allowing analyzing data from each passages, sporting suspension as well as other devices allowing them to compete at race tracks. There are 26 cars at the starting line of each race. Besides 24 authorized competitors, each racing weekend is enriched by two extra cars driven by celebrities who are invited by the organizer of the cup. By means of that all VIPs take an opportunity to check their competitiveness among other drivers making the races more prestigious. In 2015 a brand new Volkswagen Golf – Car of the Year 2013 – and 30 000 euro is a main prize for a winner of Volkswagen Golf Cup. A runner-up of the series will be awarded with 20 000 euro and a third overall driver collects 10 000 euro. The money are devoted to driver’s career development. Drivers are also awarded after each round as well. 8 000 euro will be divided among top eight drivers.